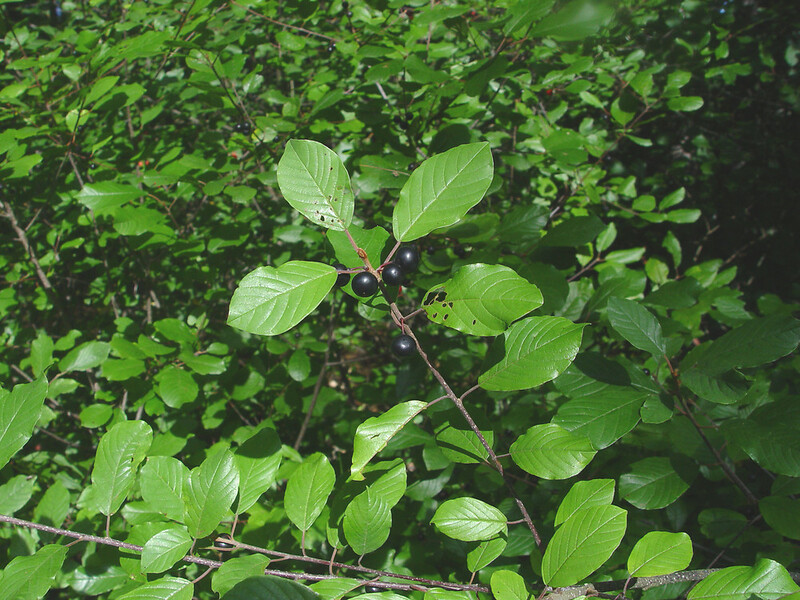 Glossy false buckthorn has shiny leaves but no thorns, despite its name. 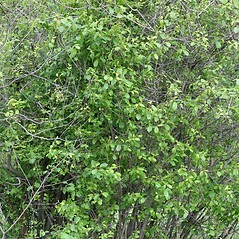 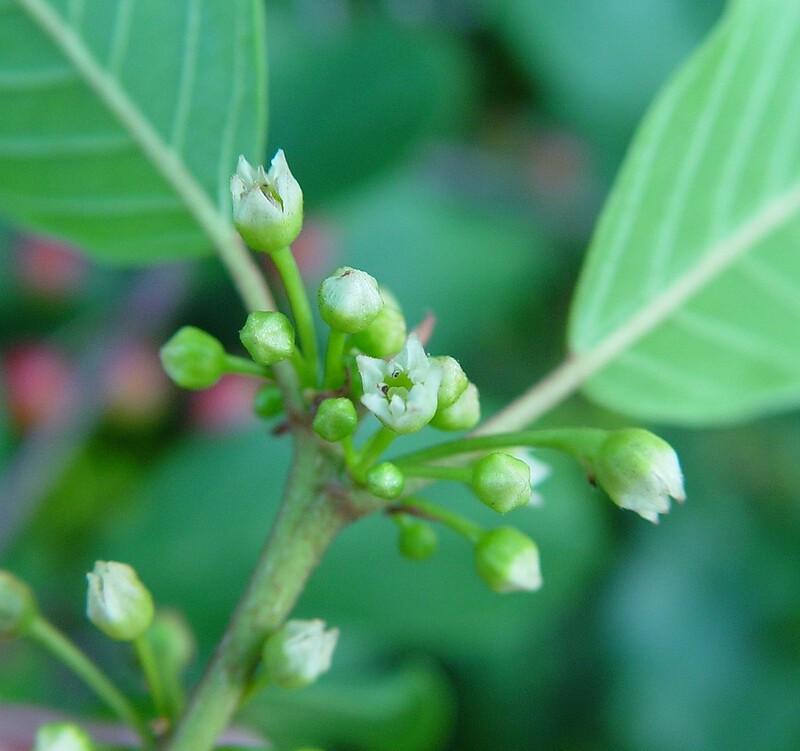 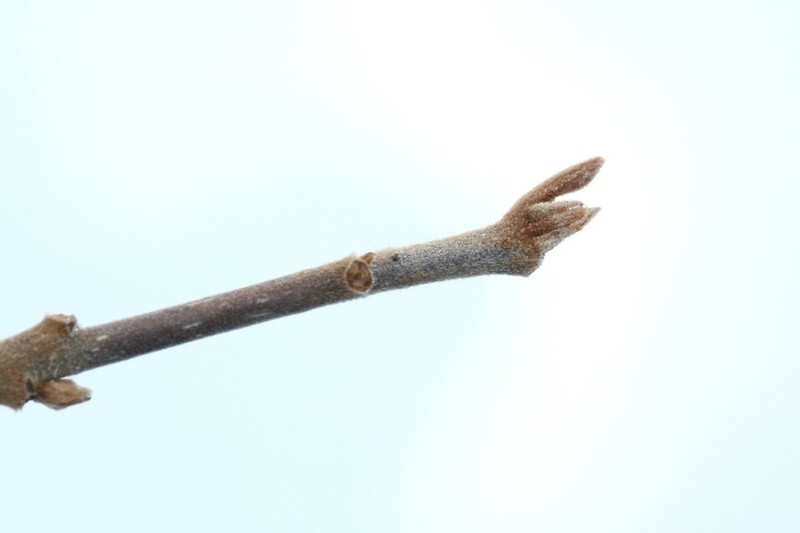 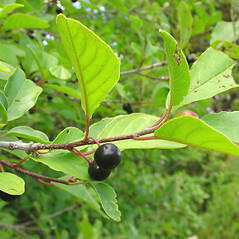 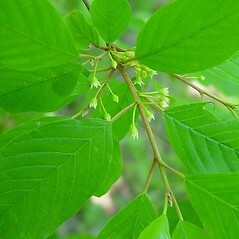 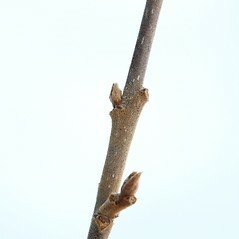 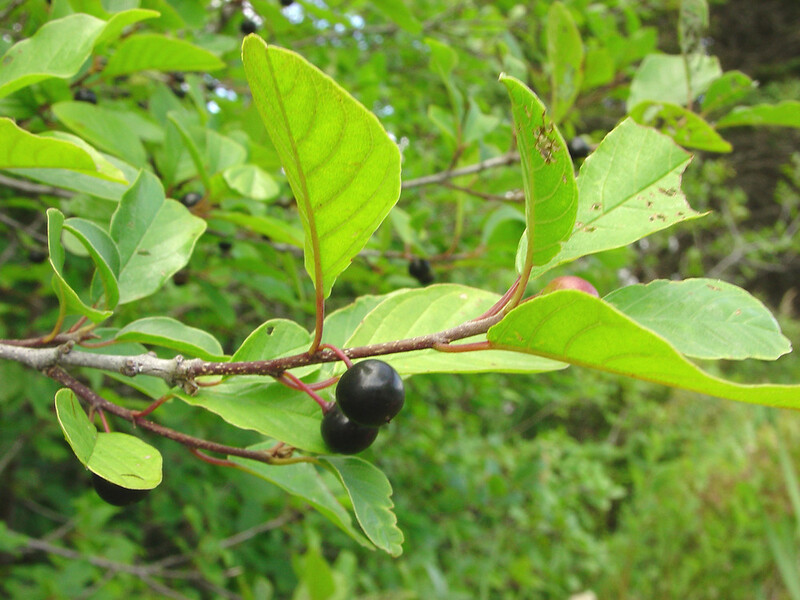 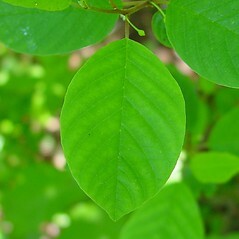 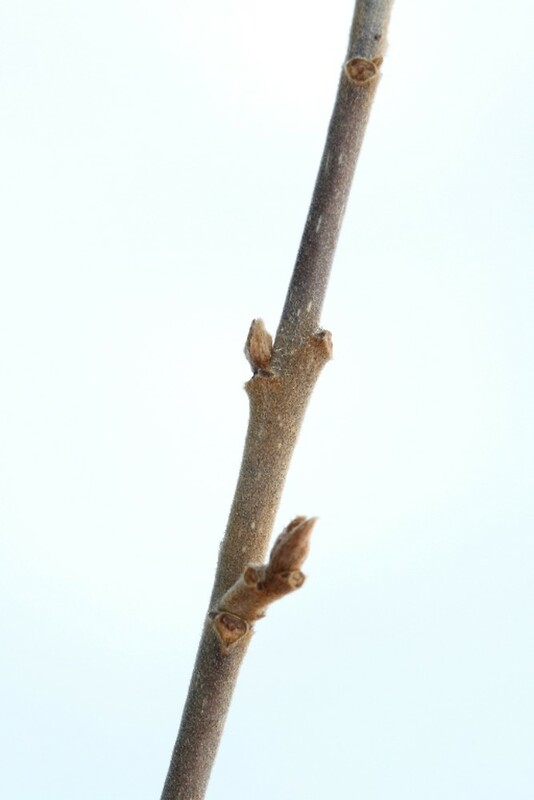 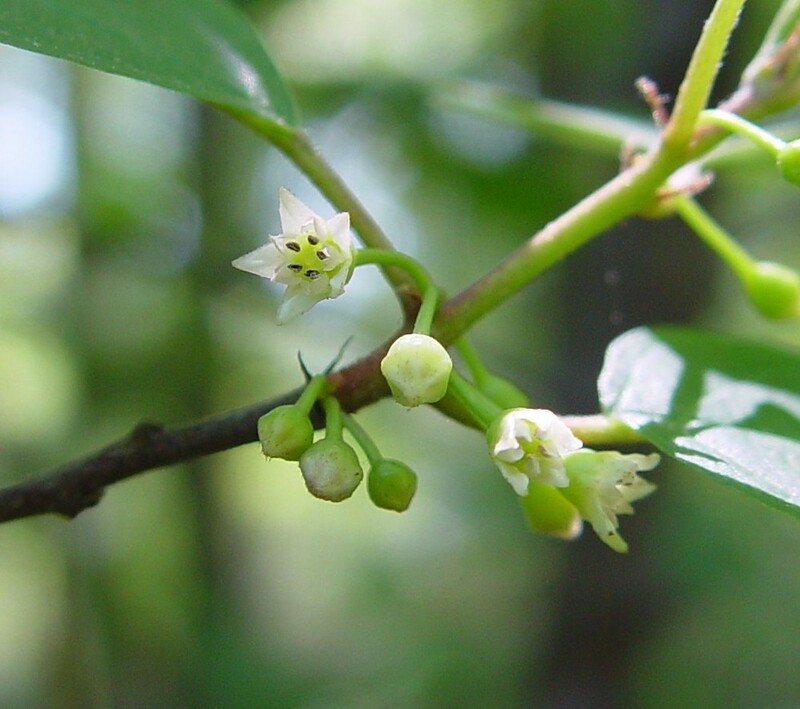 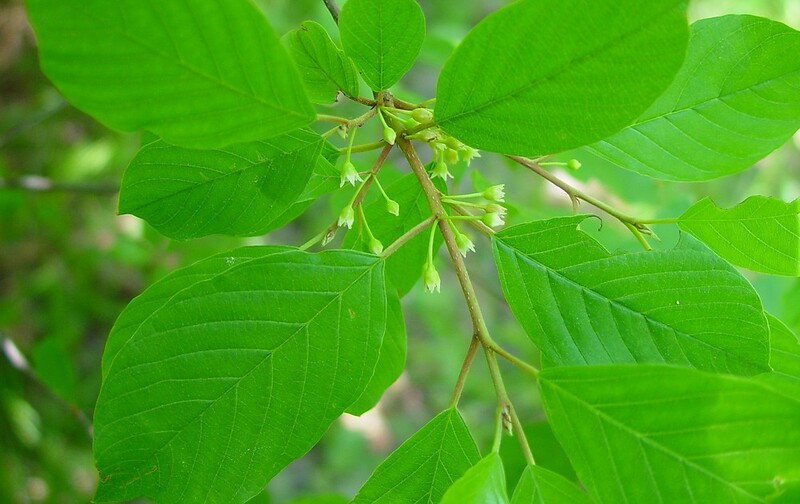 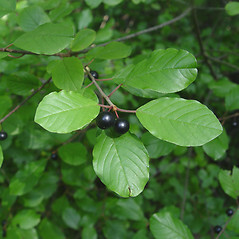 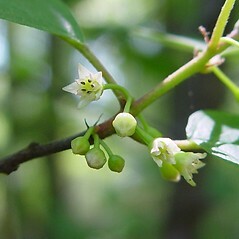 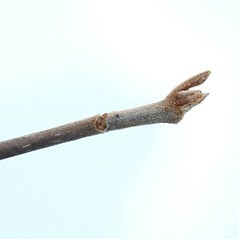 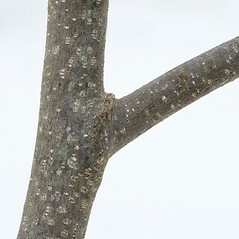 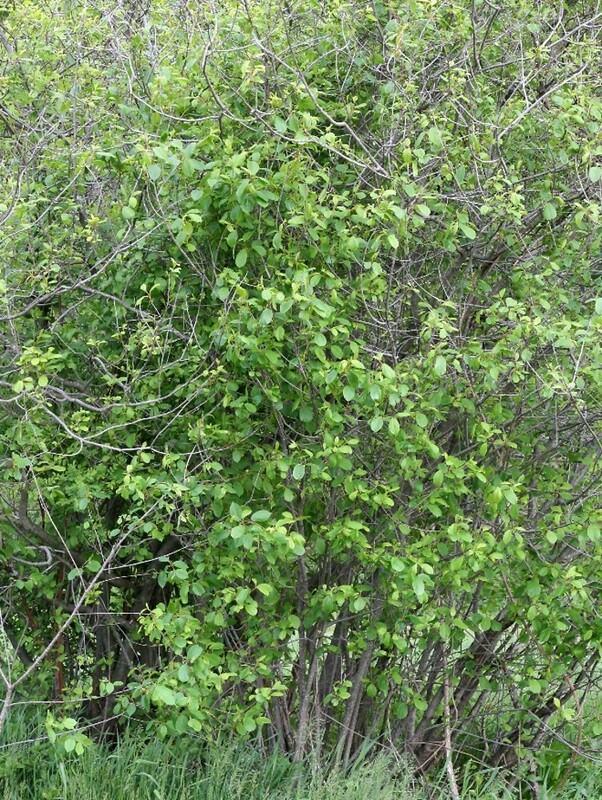 It is closely related to Common buckthorn (Rhamnus cathartica), but has alternate leaves. 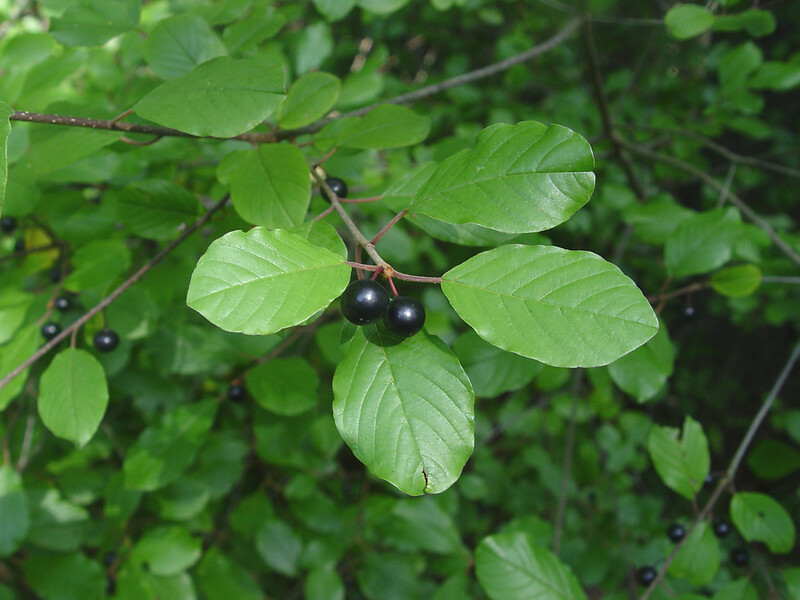 This shrub arrived in the United States from Europe before 1800. 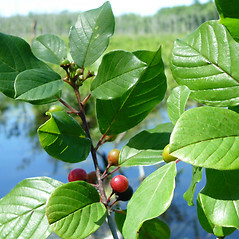 By 1950 it was recognized as a potentially invasive species. 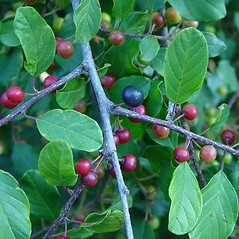 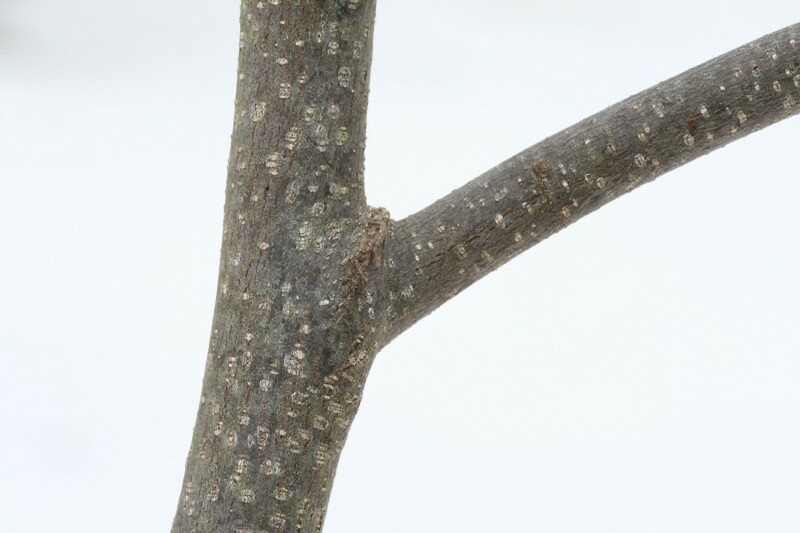 Birds eat its red fruits and disperse its seeds. 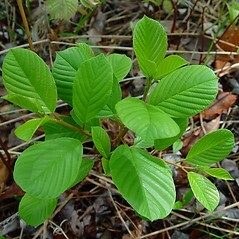 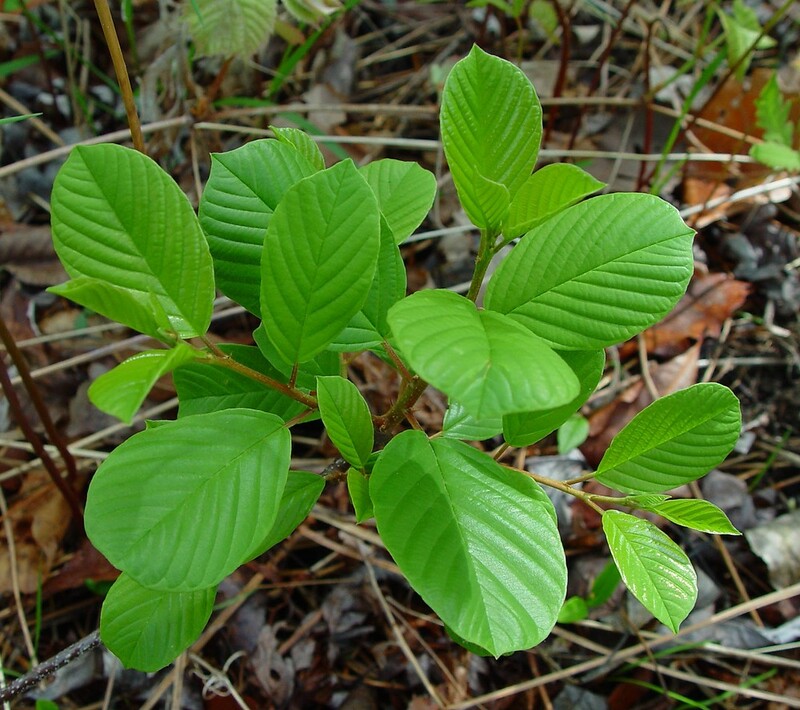 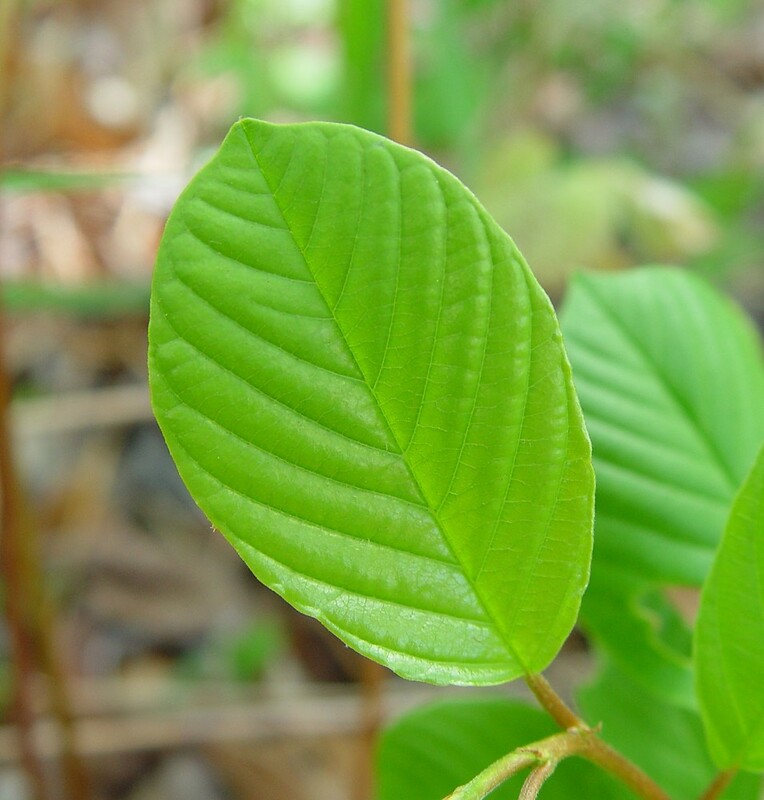 It is more shade-tolerant than many invasives, and thrives in forest understories. 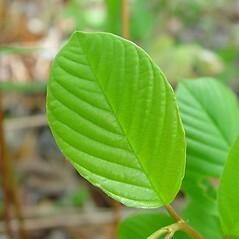 leaf blades toothed, rather dull on the upper surface, and some subopposite in arrangement (vs. F. alnus, with leaf blades entire, somewhat shiny on the upper surface, and all alternate). 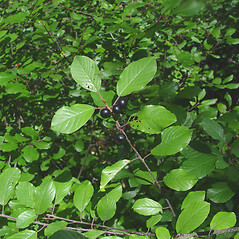 glossy false buckthorn. 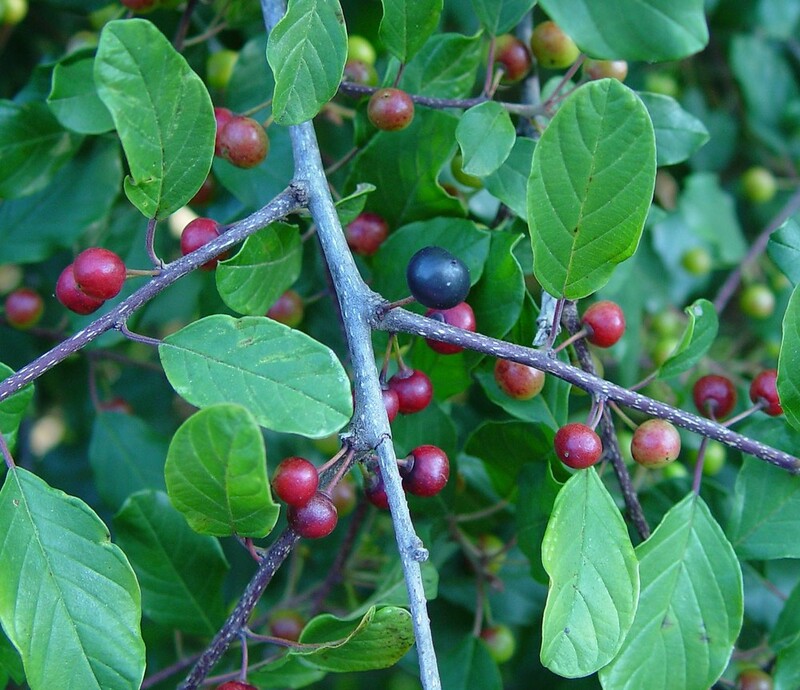 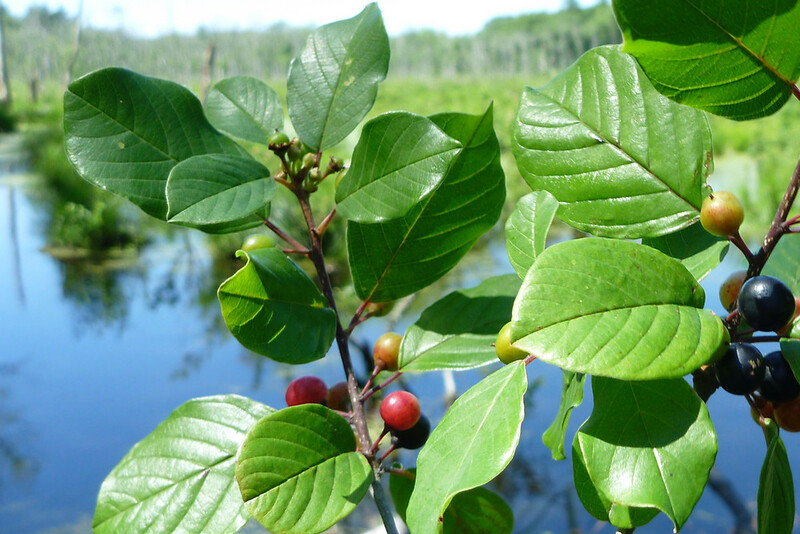 Rhamnus frangula L. • CT, MA, ME, NH, RI, VT. Forests, forest fragments, roadsides, fields.